November 12th 13th and 14th. 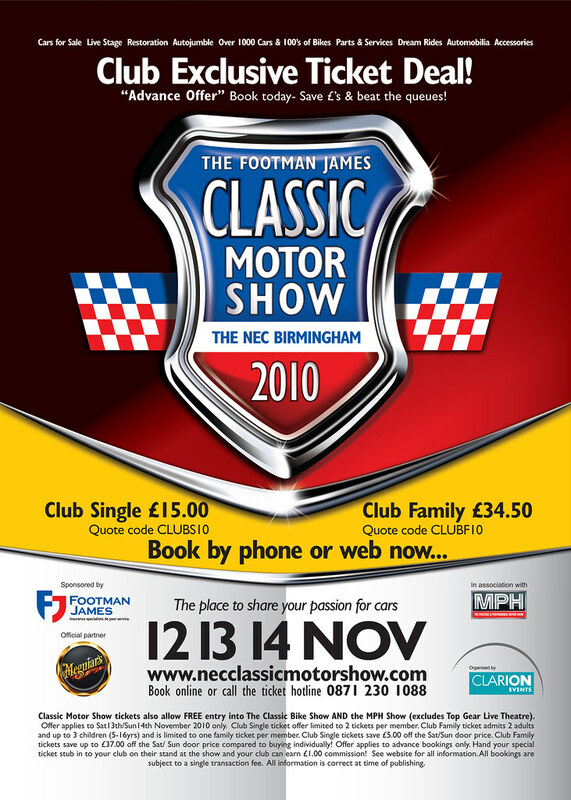 Classic Motor Show tickets also allow FREE entry into The Classic Bike Show AND the MPH Show (excludes Top Gear Live Theatre). Offer applies to Sat13th/Sun14th November 2010 only. tickets save up to £37.00 off the Sat/ Sun door price compared to buying individually! Offer applies to advance bookings only. We are just a few weeks away from the NEC Classic Car Show. For those of you who haven't visited, it's a huge event covering Halls 1, 2, 3, 3a and 4 of the NEC. Ticket holders also have access to the Classic Bike Show and the MPH Show. So there's something for all enthusiasts! The Beta Forum has again got a stand and we are proud to be exhibiting a Beta Sedan, Coupe, Spider and HPE. 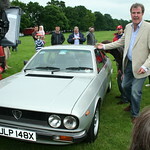 Our cars always attract a huge amount of attention at these shows, often from classic car fans who have little awareness of the Beta. It is therefore a great showcase for our cars to new and prospective owners. Our stand is in Hall 1 next to the Lancia Motor Club, the Montecarlo Consortium, the Flavia & 2000 Consortium and the Thema & Dedra Consortium stands. If you are visiting the show, please come along and say hello. If you can spare some time to man the stand during any of the dates (Friday 12th - Sunday 14th November) then please contact me. Hope it is all going well guys. I'm working this weekend so unable to come down and say 'hello'. This year again was a huge success. Thanks to John (Coupe), Andy (Berlina), Terry (Spider)and Brian (HPE) for allowing us to use their cars. Also everyone that helped out on the stand and members who said hello. which Betaboyz plus the above clubs were included in the judging. A great day out, and good to meet everyone. It just shows me how much work I have to do!